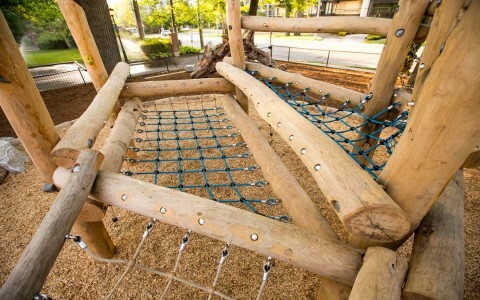 The request: an epic climbing structure for active young boys. Upper Canada College wanted huge play value and lots of challenge for boys who want to push and test their physical abilities. 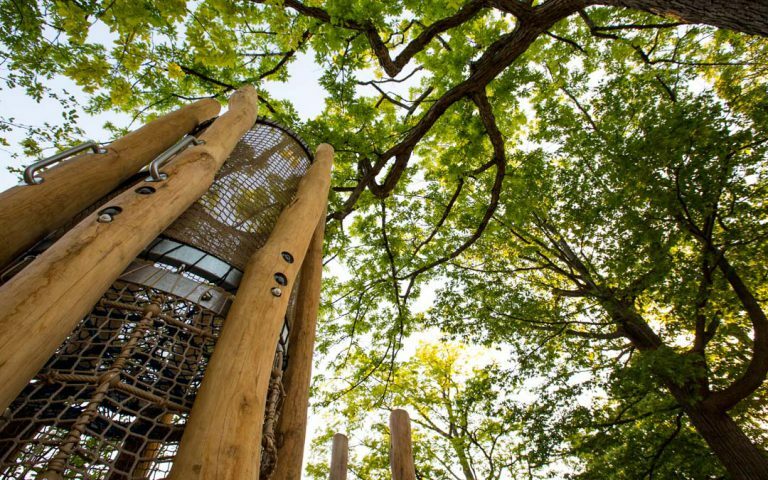 In collaboration with Evergreen and Northwood Associates Landscape Architects Ltd. we designed and built them a custom climber and tower with no limits. 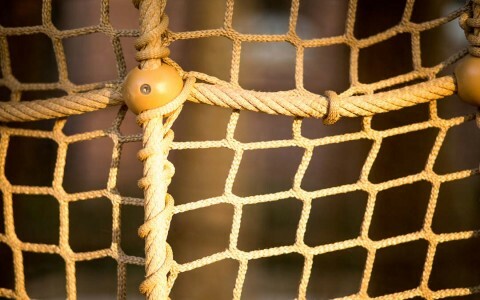 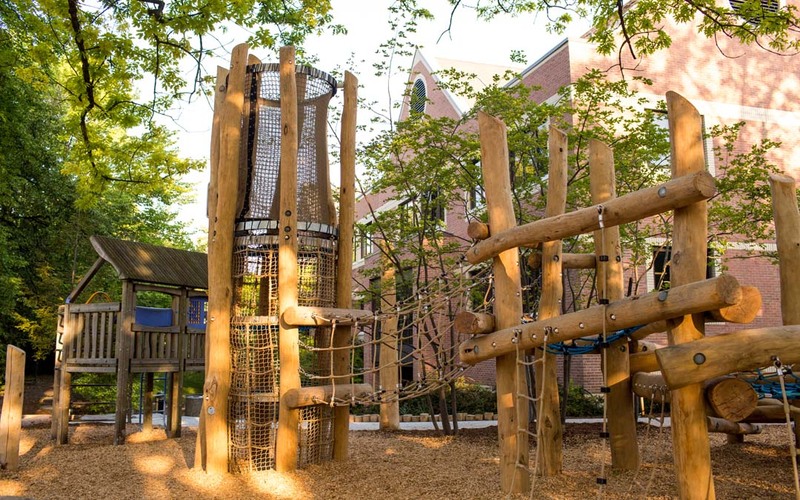 The boys can literally clamber all over this structure, inside and out; through tunnels, over rope bridges, between timber beams and around the outside of the tower. 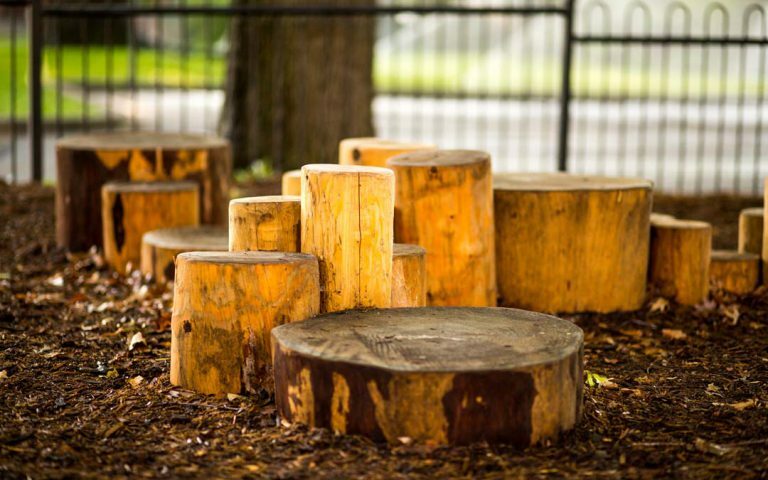 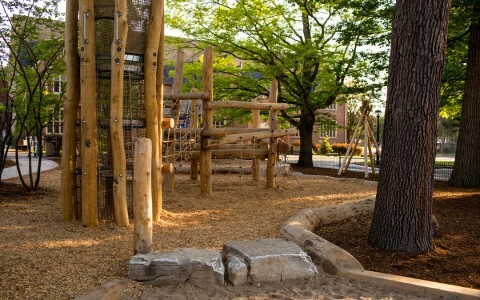 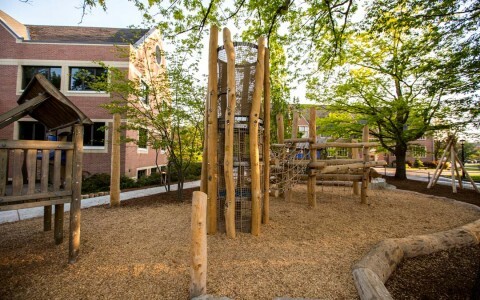 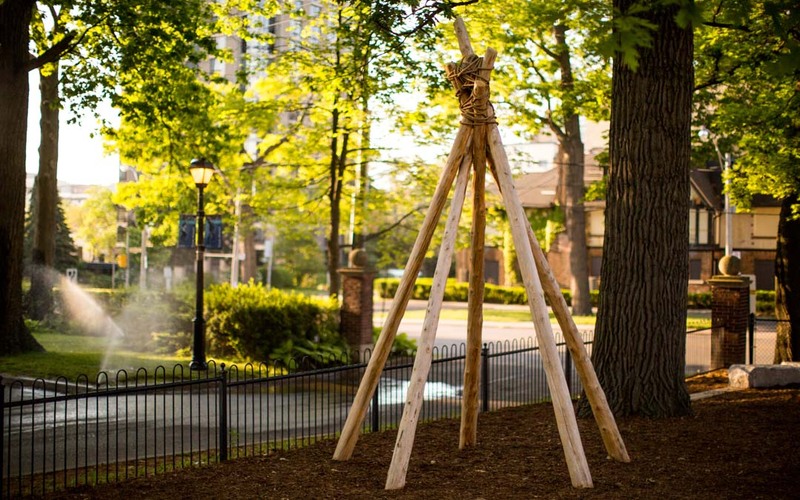 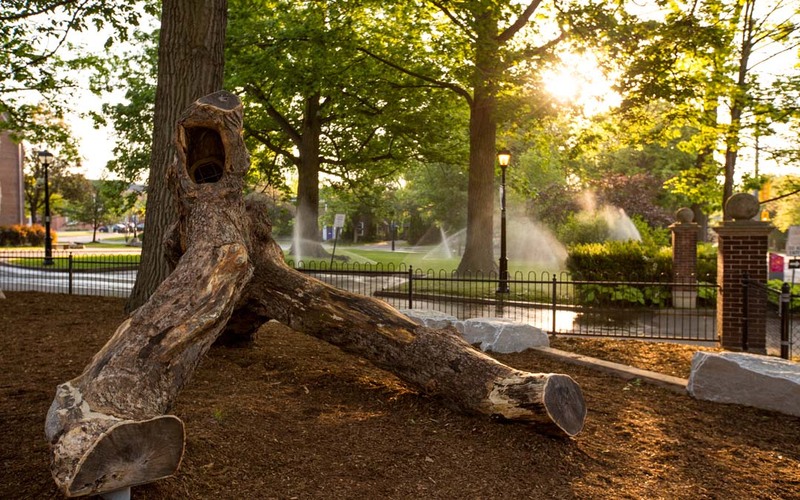 In addition to the tower, a massive fallen log calls the kids to conquer another climb while the sand play area and simple teepee give kids a chance to create, build, get dirty and use their imaginations.